Colorful brushes use advanced hair technology to create a spring and responsiveness that really feels like painting while working on a capacitive screen. 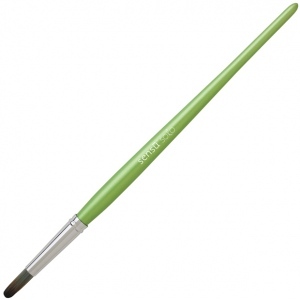 * The handle is milled from solid aluminum in the shape of a traditional artist brush. * Comes with a protective cap to keep bristles safe. * Brush only; no stylus.